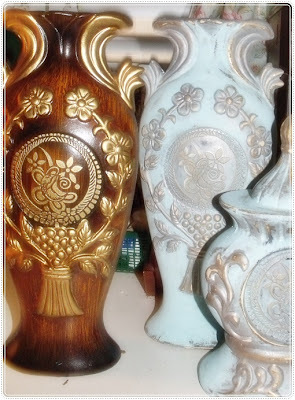 A while ago I found this set of really cheap ceramic vases and ornament in faux wood paint with gold and thought of painting them, but didn't have the time yet. 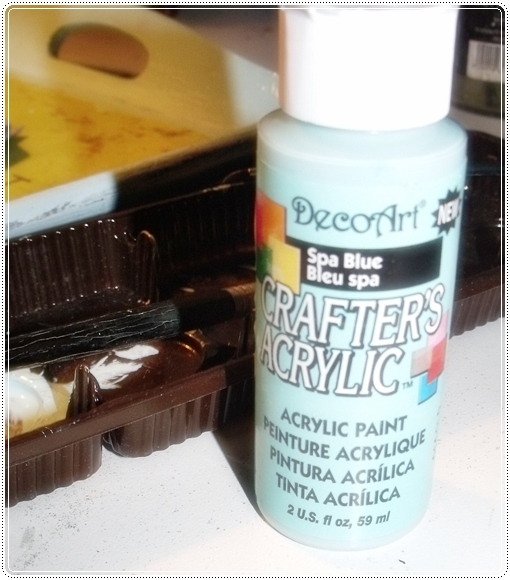 I did already 2 of the 3 last week with a kind of duck egg blue /Robin egg blue named Spa blue and pewter. Distressed them later to show some of the old gold and bare ceramic trough. 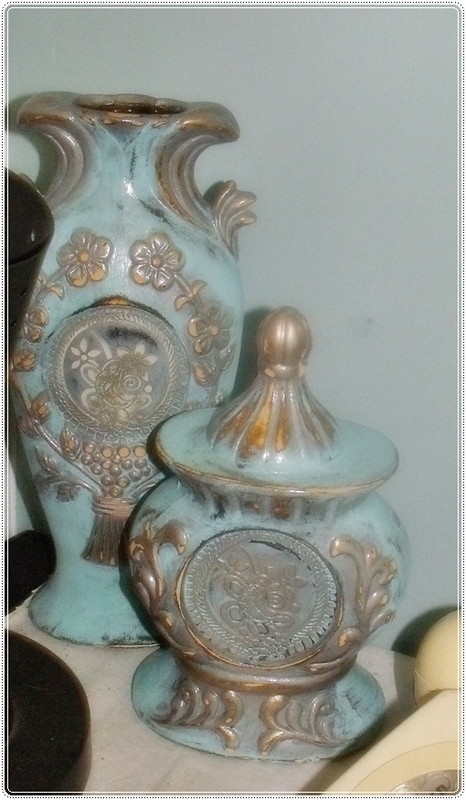 Now they fit the new silvery wallpaper and the painted walls.